The summer has seen the release of the most recent Batman movie, The Dark Knight. It's a hit for sure, with lines to see it running around the theaters. But what has truly got people's attention are all the whispers about the curse of Batman that has plagued those that have worked on this movie. So is The Dark Knight truly affected by a curse? Several of the main actors from The Dark Knight have had troubles that have been splashed across the media. As each actor has been affected, rumors of the curse of Batman have grown from little mumblings to outright talk. Many do fear that other actors and those on the set will be affected by the curse of Batman. The Dark Knight is one of the "darker" Batman movies. This is not a light and entertaining movie ideal for children. This is a haunting look at the Batman character and the other popular Batman characters. It is said by many critics to be one of the best Batman movies, but also one that sets a very serious tone. Most tragic of all is the death of actor Heath Ledger at the beginning of 2008. Ledger, who played the Joker in The Dark Knight, died in January 2008 from an accidental o.d. of various medications, including sleeping pills. Could this be the evil curse of Batman at work? Many say that Heath Ledger had a very precise and careful personality. The Joker in The Dark Knight is a very dark character, full of many shadows. Channeling this type of energy through him many have simply been too much. Many have also heard of the troubles that plagued Batman actor Christian Bale. Bale had an argument with both his mother and his sister -- just prior to The Dark Knight's London premiere! Bale wound up with assault charges being brought against him. He says that he simply didn't do anything wrong. Some have said that Christian Bale had a very dark childhood with many secrets, and that this could have easily provoked his most recent argument. But with others from his Dark Knight movie set having problems, we are left to wonder. Most recently, Morgan Freeman had a car accident in Mississippi. Freeman's car went off the road and rolled into an embankment. There seemed to be nothing to provoke the accident. There are no reports that Morgan Freeman had alcohol, drugs, or anything else mysterious in his system. The main "mysterious" thing plaguing Morgan Freeman appears to be The Dark Knight, and is he being affected by the curse of Batman -- as are the others? But one bad turn on a dark night in Mississippi seems to be pretty lucky compared to the others. Another movie being spoken about this summer with a curse upon it is the Quantum of Solace, the most recent James Bond movie. The idea of cursed movie sets has been going on since "moving pictures" first began. Even the set of the classic Wizard of Oz movie was thought to have been cursed! Actors and the theater/movie industry is known for its classic superstitions: such as never saying "good luck" before a performance, you say instead "break a leg!" Shakespeare's classic play Macbeth is never referred to by name in any theater for fear it will bring great bad luck to any cast or show. This play is simply called "that Scottish play." Some may think these are a little superstitious or even a little silly, but it would make perfect sense that the people who bring us amazing magic every day on the screen and on the theater stage would firmly believe in a little bit of magic! Everyone is watching the curse of Batman with great interest. We will see what The Dark Knight has in store for us next! Abigail Beal is a senior SpiritNow.com writer on psychics, angels, and astrology. Why do some of you previous posters assume Sylvia wrote this article? It clearly states at the bottom it is written by Abigail Beal. 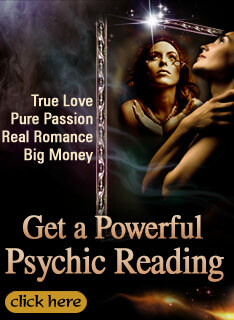 "Abigail Beal is a senior SpiritNow.com writer on psychics, angels, and astrology." Just to add a note: Ghosts and psychic attacks CAN NOT hurt you, they just make you feel emotionally off. And maybe show themselves by moving stuff around. And you can do something about it. Pray for Gods white light to protect you, and your loved ones. Angels are at your side as well. You can be protected by your totem too. Just know there is a psychic force to love and protect you. Around you at all times, and they will help you if you ask what you specifically need help with, at any time. That is unconditional LOVE! This is not under "Sylvia's blog." Obviously a writer here at SpiritNow wrote it and those of us familiar with Sylvia know where she stands on curses. Maybe Sylvia's pic is there because it's under "psychic articles." From my understanding, it's just a little entertaining read on the superstitions of actors and Hollywood alike. It's not guiding us to believe that way. It's just meant to be fun. Everything happens for a reason. We chart it. Negative ghosts mights cause havoc. Just as Negative jerk alive people cause havoc and trouble. Psychic attacks are probably given to us through micheivious earthbound ghosts, and alive people alike. So just remember to fight back by covering yourself with the white light of God every morning, ask for protection from your angels, and Azna (female part of God) and Om (Male Part of God), and be aware that we are surrounded by all sorts of people, that we can see, and people, that we might not see. Good and Bad. There are no curses, just jerks (alive and dead). And our deaths we have charted, and We wrote ourselves. Hope that explains things. Why is Sylvias picture there in the corner. This is not her speaking. For goodness sake, please read her books, and you will know what I mean. She sounds a lot more educated than this. This doesn't even sound like Sylvia. Sylvia said there are no curses, do not beleive it. Why in the world would she promote it now? With no explanation as to why she has changed her tune. Whatever.